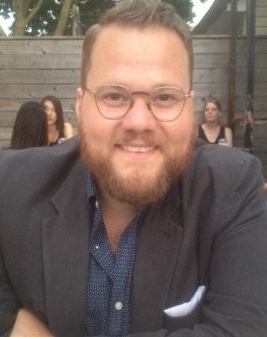 Aarie Glas (Ph.D., University of Toronto) is an Assistant Professor in the Department of Political Science with a specialization in International Relations and a Faculty Associate in the Center for Southeast Asian Studies. His research interests include regional security governance, with a particular focus on ASEAN and Southeast Asia, international relations theory, and interpretive and qualitative research methods. Aarie’s book manuscript, Habits of Peace: Long-Term Regional Cooperation in Southeast Asia and South America, which remains in progress, explores diplomatic habits of regional security cooperation in a comparative regional context. His research has been published in the Routledge Security and Governance series and the European Journal of International Relations. Aarie teaches courses on IR and IR theory, international security, research methods, and Southeast Asian inter-state relations. He is particularly interested in supervising research projects related to regional or global governance, US foreign policy, international organizations, social IR theory, and inter-state conflict and cooperation broadly speaking. Aarie Glas (2018), “African Union Security Culture in Practice: African Problems and African Solutions.” International Affairs 94(5): pp. 1121–1138. Aarie Glas, Clifton van der Linden, Matthew Hoffmann, and Robert Denemark (2018), “Understanding Multilateral Treaty-Making as Constitutive Practice.” Journal of Global Security Studies 3(3): pp. 339-357. Aarie Glas (2017), “Habits of Peace: Long-Term Regional Cooperation in Southeast Asia.” European Journal of International Relations 23(4): pp. 833-856. Aarie Glas and John Kirton (2012), “Global Governance from America, Canada and the Responsible Rest” in Sean Clark and Sabrina Hoque (eds.). Debating a Post-American World: What Lies Ahead. London: Routledge.